There is also a fast-track version of this module enabling you to complete the MBA within two years, see MBA stage 1: management: perspectives and practice (fast-track) (BXFT716) for more information. 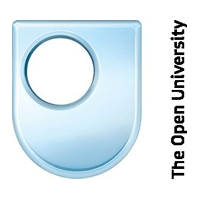 Entry Requirements This module is the first module in our Open University Business School masters degree programme. Normally, to register for this module you must have a UK honours degree or equivalent professional qualification, and have a minimum of three years’ experience in a managerial, professional or technical role. Usually this means that you are at least 25 years old as it is unusual (but not impossible) to be able to satisfy the ‘experience’ requirement under this age. You will be required to study between 12-15 hours per week for one year.Experienced managers who do not meet the academic requirement can be accepted onto B716 if they first complete the Professional Certificate in Management (S01) (previously coded C31) which has open entry.